The Apricot Chat series is continuing to offer real Wild Apricot user experiences in response to blog reader requests for an inside look at how other organizations use the software. The Richmond Venture Forum is an association that acts as a social network to link the entrepreneurial community with venture capital to promote business growth and development in the central Virginia area. We spoke to Robin Hogge, who manages the Richmond Venture Forum. 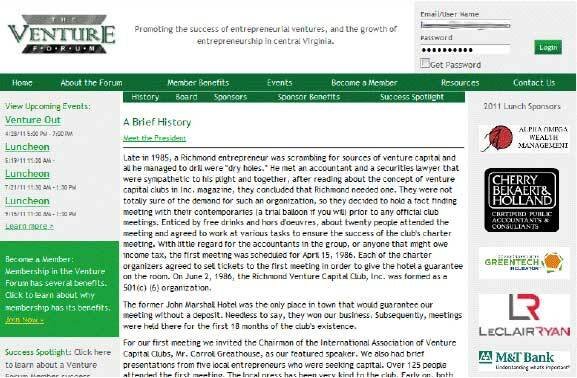 The Richmond Venture Forum's old site wasn't working for them. It was developed through a web design firm, and all updates had to be made through them. The site was always out-dated, and Robin had to manage multiple databases for membership management. 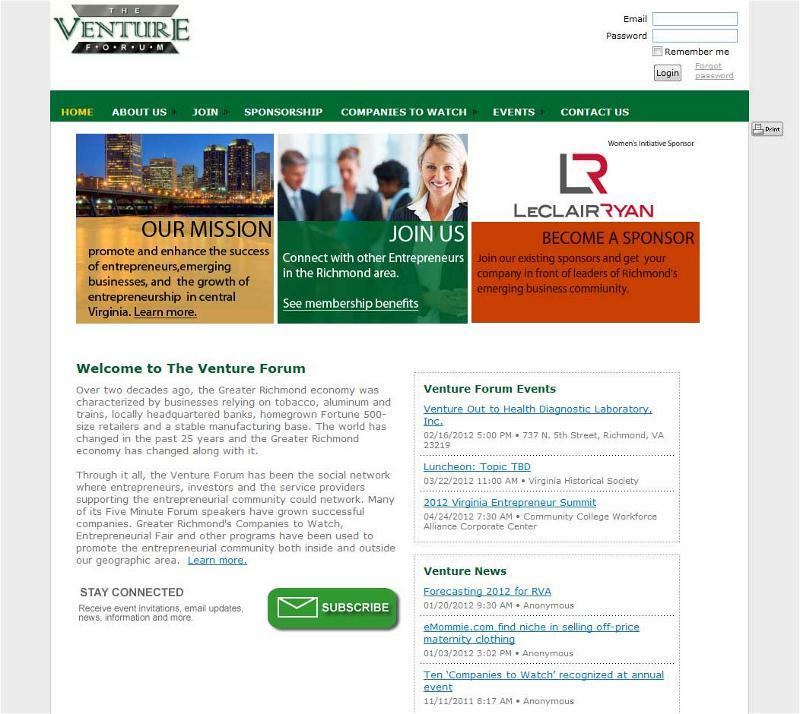 The Venture Forum's old site was not user friendly, and wasn't supporting the association well. Since switching to Wild Apricot in January 2011, now it's easy for Robin to maintain her website and membership databases. "With the member database, it's easy to find, update, and monitor members. The billing system makes it easy to process sponsorship billings, and automate our membership renewals." Using custom membership levels, they have three levels of membership; the membership directory module is used to maintain the directory of sponsors; the blog module is used to update members with the latest news; and all their events are easily maintained with the event registration module. Robin has found that using Wild Apricot has helped her association grow. "Event participation is up for all of the events we have held since the launch...guest registration is easy and online payment for registration is wonderful." "Members love the new look of the website and how user friendly it is for them." The Richmond Venture Forum's new Wild Apricot site was customized by one of our Wild Apricot Partners, Webbright Services. While Robin had a partner help with initial site design, now Robin can maintain her website all on her own. "I was once afraid to work on websites, but now find them easy and fun to use!" Do you have a Wild Apricot story to tell? Just email us at newsletter@wildapricot.com!